Las Palmas G.C. 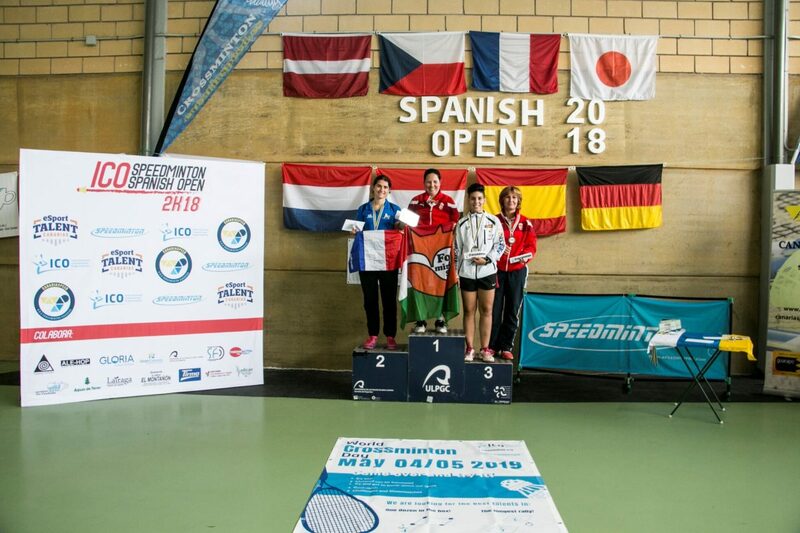 – Nico Franke from (Germany) and Krisztina Bógnar (Hungary) grabbed the titles of the Open and female categories the ICO Speedminton Spanish Open 2018 that took place last weekend in IES Felo Monzón Grau-Brassas. 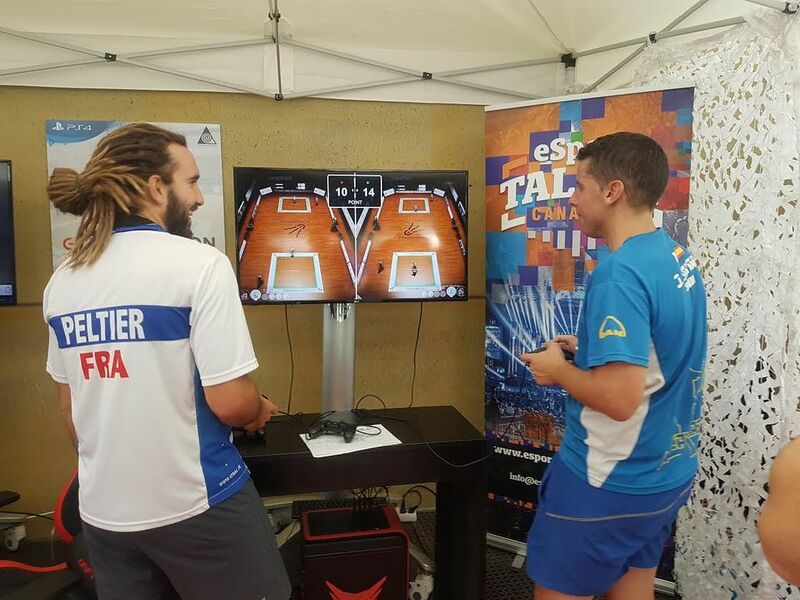 Nico Franke won Cyril Peltier Over 60 participants battled for medals in 6 categories. Canariaspeed team managed to finish the tournament with 4 medals. 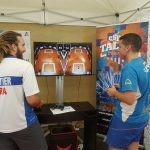 During the first day the 11 tracks installed for the most important tournament of the year were full of matches throughout the day. On Saturday morning the group stage was resolved without surprises. All the favorites of the four individual categories were classified for the eliminatory phases. In the afternoon session, the Double Open and Double mixed categories were played. In the first, the canary Juanma Santana, forming a pair with the German Daniel Gossen, were planted in the final after beating the Czech couple, Roman Jurás / Pavel Podvolecký. In the other semifinal, the defenders of the title, the Franke brothers defeated the pair formed by the Canary Javier Mateos and the German George Nilos. 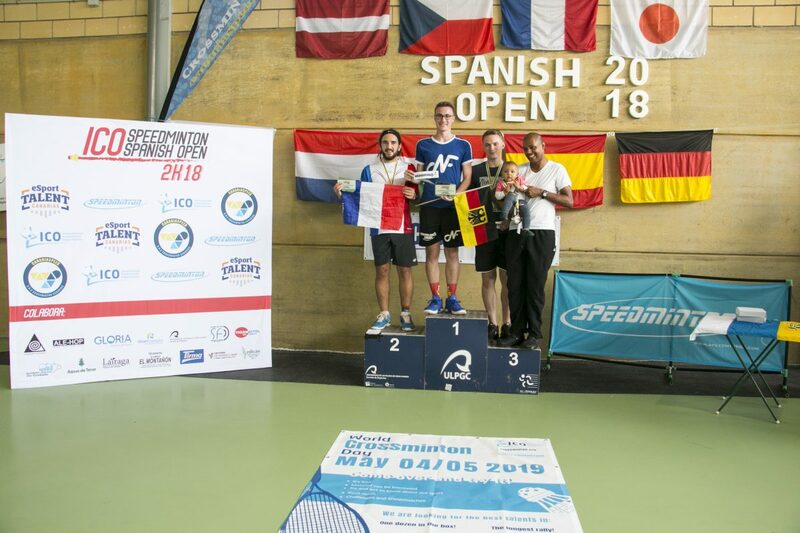 The final was resolved in the third set (14/16, 16/10, 16/12) in favor of Nico Franke / Maximiliam Franke after tracing the initial set that fell on the side of Juanma Santana / Daniel Gossen, so they repeat the title for second consecutive Year. In the Mixed Doubles, ended with a French final, The pair formed by Ciryl Peltier / Audrey Branellec beat their teammates Damien Guillemineau / Sonia Deté in two sets. The German pair Boubacar Diallo / Andrea Diallo and the Hungarian Ágnes Darnyik / Erik Versegi completed the podium. On Sunday the 5th edition of the Ico Speedminton Spanish Open culminated with the resolution of all the individual paintings. In the senior category O-50, the German Charly Knobling won in the final the Czech Roman Jurass, completing the podium, the Hungarians Ferenc Kiss and Károly Vincze, simultaneously the senior final was played O-40 where the number 1 of the world ranking, the Czech, Pavel Pondvolecký defeated the German George Nilos (Rank 3). The Dutchman Marcel Van Der Laan and the Canary Sergio Castro finished third. The Open Women and Open Division finals closed the championship. 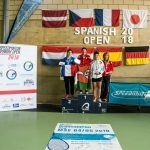 In the first, the Hungarian Krisztina Bógnar after an impeccable tournament, where she only lost one set in the group stage, precisely against the other finalist, the French Audrey Branellec who gave the surprise in the quarterfinals defeating the World Champion Ágnes Darnyik, writes her name as the new ICO Speedminton Spanish Open champion, after winning in two sets (16 / 13,16 / 7). The Canary Islands Chaxi López and the Hungarian Z. Gerber closed. In the men’s final, the most equal match of all the categories was played. 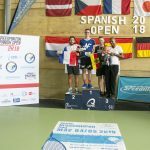 The French Cyril Peltier, bronze medal, in the European past did not have anything easy before the German, Nico Franke, defender of the title and current Junior World Champion U-18, who again demonstrated the great level of play by which is happening, repeating championship for the second year in a row without conceding any set. 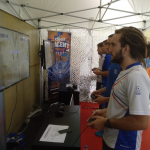 The third places was completed by the Germans Boubacar Diallo and Maximilian Franke. 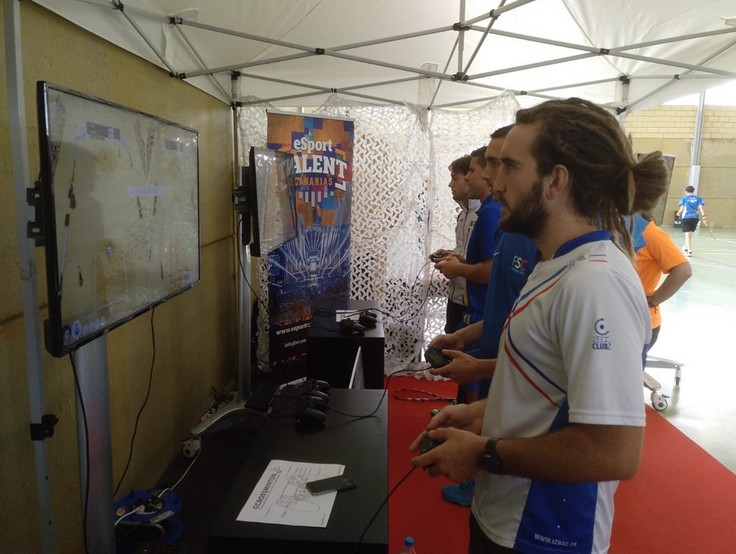 In parallel, at the stand organized by E-sport Talents Canarias and Daydream Software, an E-sport double and individual tournament was held, open to the public. The canary Borja Cámara won Jonatan Hernández in the final.